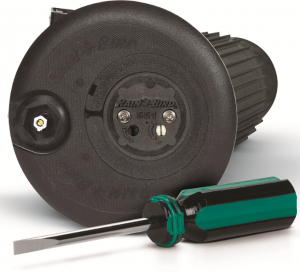 The new Rain Bird 551 Series rotors are designed to help water tee boxes and other smaller areas of the course more precisely and efficiently. 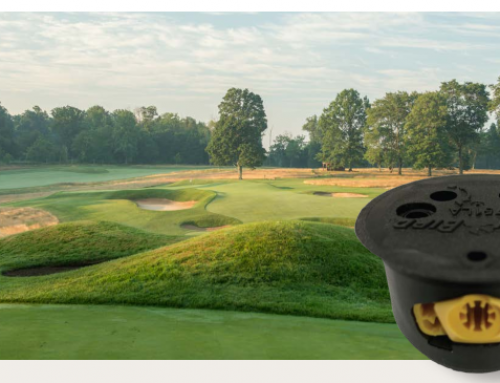 Rather than using residential or commercial rotors in these smaller areas, courses who install the 551 Series benefit from the level of quality and features only true golf course rotors can provide. 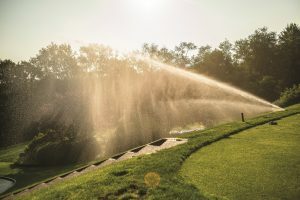 The 551 Series is available in four rotor models, including an IC model that’s compatible with Rain Bird Golf’s popular IC (Integrated Control) System™ that directly connects central control to each rotor and valve. 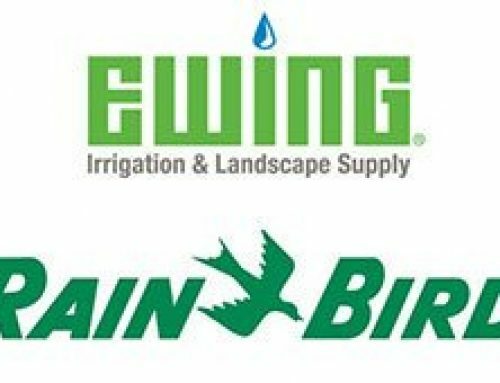 Other models include an electric solenoid version, a SAM/HYD model and a block version with Rain Bird’s Seal-A-Matic feature. All 551 Series rotors offer short-to-medium-range coverage, higher flow rates, superior distribution uniformity and valve-in-head options with a full-circle/360º arc and an adjustable arc from 30º to 345º. 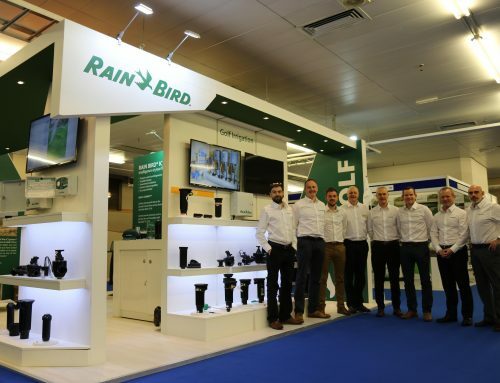 Four nozzles are available for various radii and flow rates, including a low-angle #51 nozzle with 32’ to 38’ (9.8m to 11.6m) coverage and #52, #53 and #54 nozzles to cover areas ranging from 38’ to 55’ (11.6m to 16.8m). Thanks to top-serviceable convenience the 551 offers quick and easy access to internal rotor components, including a Top-Serviceable Rock Screen™ with integrated valve seat as well as the valve assembly, internal assembly, nozzles, pressure regulation system and selector assembly. This top serviceability also makes it possible to adjust pressure regulation and arc from the top of each rotor with just a common screwdriver. Rapid-Adjust Technology featuring MemoryArc® means the rotors will retain two part-circle arc settings, making it possible to switch between full- and part-circle operation in mere seconds. 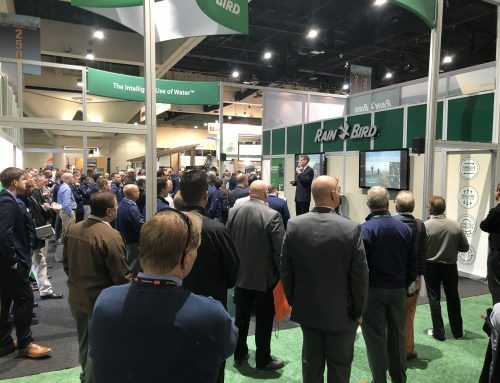 Because Rain Bird Golf engineers its products with Timeless Compatibility™, golf courses can install new 551 internal assemblies in existing Rain Bird rotor cases dating back to 1992. 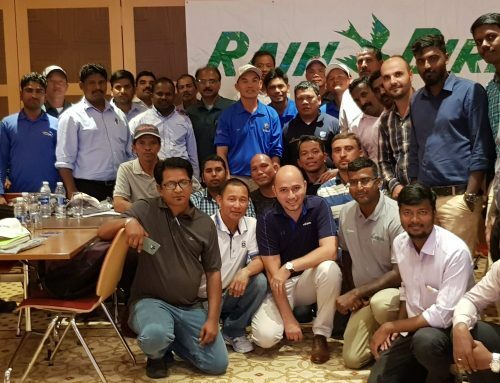 This allows golf courses to upgrade to the latest technology without having to dig up cases already in the ground.